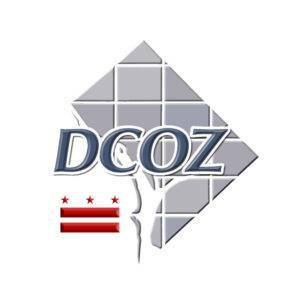 The DC Office of Zoning (DCOZ) provides administrative, professional, and technical assistance to the Zoning Commission (ZC) and the Board of Zoning Adjustment (BZA) in support of their oversight and adjudication of zoning matters in the District of Columbia. In support of this and to create a convenient, easy to use, and understandable zoning process, they must ensure that the District’s zoning data is accurate and made available in a timely manner to the public and other agencies. To do that, the agency contracted with NLT to develop and support a new state-of-the-art web-based application and data services to be the nation’s first official digital zoning map. NLT provided integrated professional services in a DevOps environment, including software and server infrastructure support, geospatial database and mapping support, cloud-based application development, documentation, training knowledge transfer, and ongoing operations and maintenance. Following an agile software development approach, NLT developed a new public map-based zoning application as a service that provides a variety of crucial information in an intuitive user interface and series of APIs for M2M consumption. The new application allows users to determine the zoning classification for any property in the District; search zoning by address, square and lot, parcel, case name or number, Business Development Adjustment (BZA) name or number, or Planned Unit Development (PUD); select different layers of data to display; and print reports for any property. Users are also able to view results in Google’s Street View and buffer properties to gain additional data that can be exported into various report formats. NLT also provided technical expertise to automate the population and update processes for the zoning map database and data services used by the new application service and other consumers. The DC Zoning Map can be viewed at: maps.dcoz.dc.gov.